A novel follows a young woman in the 1960s who dates all the wrong guys as she bungles her way into adulthood. Ali Abrams is a young college graduate whose family spends its summers on idyllic Fire Island. The clan’s tranquility is threatened by the actions of urban developer Robert Moses, who wants to commandeer the island for his own purposes. Amid this political strife, Ali struggles to find her own place in her social, family, and professional life. Ali falls hard for an older man on the island, a singer by the name of Nick Rose. Nick indulges Ali with a few dalliances, but he is clearly less than committed. Ali eventually moves on, developing relationships with one ill-suited man after another. First there is bad boy Eric London, who can’t keep his eyes from wandering, and then a long string of one-night stands and short-lived romances. After watching Ali stumble with one man after another, her friend Jordan Kaplan accuses her of acting like Scarlett O’Hara, squandering the affection of the only man who is truly devoted to her (Jordan himself). He convinces Ali to see a therapist to deal with her self-destructive behavior. The therapist persuades Ali to take a hiatus from her fruitless dating and focus on herself and her burgeoning advertising career. As she travels between Park Avenue and Fire Island, Manhattan offices and island cocktail parties, the reader can only hope that Ali will get out of her own way and attain personal happiness. The book delivers plenty of vibrant historical details about Fire Island, Manhattan, New York City socialites, and the ad industry of the ’60s. At one point, Ali rhapsodizes about the Rainbow Room (“Breathtaking. Magical. Sophisticated. Art deco. Big band orchestra live, revolving dance floor, wraparound views of the glittering skyline, the Hudson, the Statue of Liberty. It defined elegance and romance right out of a Fred Astaire, Ginger Rogers movie”). But Israelson’s (co-author of Lovesick: The Marilyn Syndrome, 1991, etc.) tale is as much about one woman’s personal journey as it is about the pressure to be desirable, to find love, and to conform to society’s expectations. Although Ali’s poor choices start to feel repetitive and frustrating as the story progresses, the accessible prose should keep readers turning pages in the anticipation that Ali will finally find fulfillment. 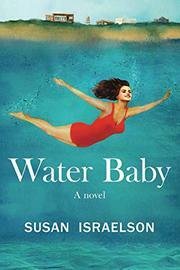 A light, accessible coming-of-age story well-suited for beach and romance fans.